The Clutch Bag from Hide & Drink accommodates your accessories all in one place with its dependable but slim and compact design. You can save 50% and get one now for just $22 with promo code 50BAG. Handmade from strong raw canvas, the Clutch Bag sports a decorative Guatemalan Mayan textile exterior with durable double stitched seams, a YKK Brooklyn-based zipper, and a full grain leather bottom. 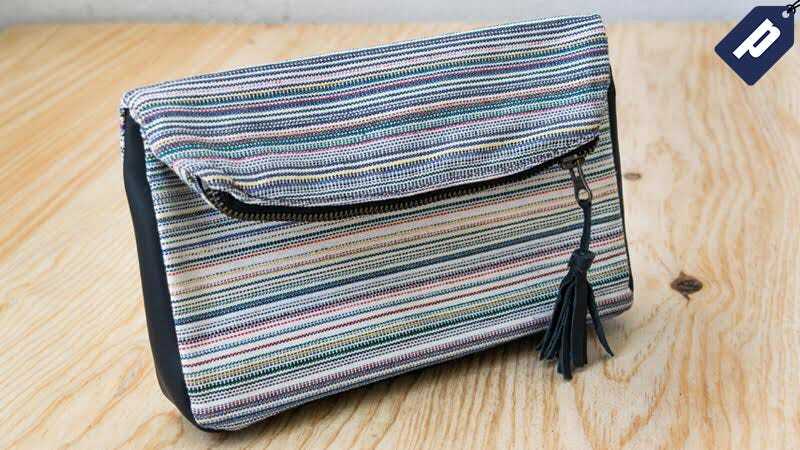 With ample room for accessories, this comfortable, lightweight Clutch Bag easily fits your cell phone, wallet, and toiletries. Plus, Hide & Drink offers other accessories like beach totes, card sleeves, and phone cases. Carry your accessories in one place with a Clutch Bag from Hide & Drink and save 50% with promo code 50BAG.